More about iittala Toikka Dotterel FinnFest 2016 Bird The iittala Toikka Dotterel was reissued from the 1997 original for FinnFest 2016, making it a special edition. 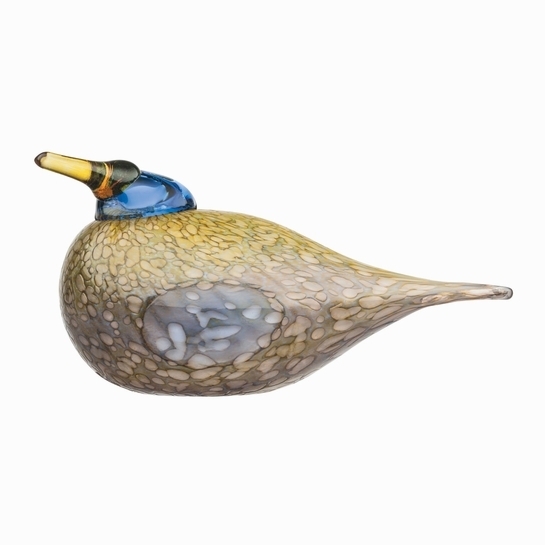 The raised detailing of the mouth-blown glass gives the plumage a texture that can be admired from afar and felt in hand, but the wings are left smooth circles. A blue head and translucent beak sit slightly cocked on the plump body, capturing the bird's tame and trusting disposition.